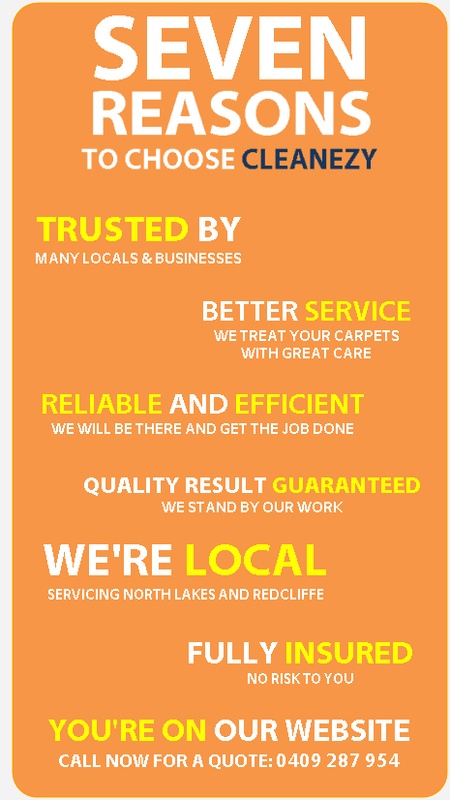 Our services cover carpet cleaning and the complete range of carpet, rug and upholstery care. Our carpet steam cleaning process destroys and removes removes bacteria and allergens such as pet dander, pollens, pollution and dust mites. Our cleaning process will not leave sticky residues like DIY machines. This prevents carpets attracting dirt after they are cleaned and with added anti soil and conditioners even keeps them cleaner for longer. All major carpet manufacturers recommend professional cleaning on a regular basis to prolong your carpets life. Poor quality DIY and poorly equipped and trained cleaning companies can leave sticky residues which have the opposite effect. Carpet Steam Cleaning makes up the bulk of our carpet cleaning in Redcliffe and North Lakes areas and is the most recommended method for a superior clean. Excellent for low profile carpets, leaving your carpets clean and dry in 60 minutes! For a quick carpet makeover at home or for your regular office carpet cleaning, dry carpet cleaning means great looking carpets, in a very short time. The cleaning compounds used, break down stains which are removed along with all the dirt and dust with vacuum suction. Although ideally suited for office carpets, we have domestic home customers who insist on these methods and are highly pleased with the results. If your lease is up, you need your carpets cleaned. For carpet cleaning Redcliffe or North Lakes we give you the best likelihood of getting your bond refund with our eye for detail and quality carpet cleaning equipment. Make sure it is done right and give Cleanezy a call. Many cleaning companies offer carpet cleaning as part of their services. However, whilst they may be great at window cleaning, they may not be specifically trained or skilled to clean carpets. Cleanezy Carpet Cleaning has dedicated time, education, energy and resources to provide outstanding commercial carpet cleaning services in North Lakes and Redcliffe. Inground dirt is a rugs worst enemy. The dirt works it’s way down and has an abrasive action on the structural fibres, wearing out your rug many years before it’s time. Regular rug cleaning will beautify and prolong the life of your precious rugs. Couches, chairs, sofas, settees, car seats, cushions and other upholstery. You name it we can clean it! Our upholstery cleaning is powerful and effective at removing dirt and grease adhered to your fabrics. For both homes and business, we pride ourselves in providing a cost effective upholstery cleaning service. To help your carpets & upholstery stay cleaner longer and to protect them from damage, we recommend treating them with our professional protector solutions. With foot traffic and vacuuming, any factory protection your carpets and upholstery may have, will wear off over time. Helps to keep dirt closer to the surface of the fibres and avoid the abrasive action of grit that causes wear. Slows down the formation of traffic patterns by allowing you to get more dirt out of your carpet with your vacuum cleaner. Added protection against both oil and water based stains. Added protection for carpets, upholstery and furnishings against moth damage. Protect carpets & upholstery from static electricity built up inside furnishings and carpets. We have a wide range of stain removal chemicals for removing urine, red wine, coffee and many other difficult to remove stains. The age of the stain is critical to achieving a good result so be sure not to leave it too long. We use specially formulated products to eliminate urine and other odors. Our process delivers excellent results on even the most challenging urine affected areas. Pet urine can cause permanent damage to your carpet and create an unhealthy indoor environment. Our powerful cleaning process penetrates deep into your floor to flush the carpet fibers and reduce the amount of bacteria and urine crystals, which in return reduces the odor. We use a high filtration cleaning system specifically designed to remove dirt, grease and stains. We pre-spot all difficult stains and use a hot water extraction machine to break up and remove the dirt to return colour and revitalise the fabric. and apply fabric protection to ensure that your upholstery will be resistant to stains and soiling and prevent spillages from becoming permanent marks. Professional Mattress Cleaning for Dust Mites and Allergies. 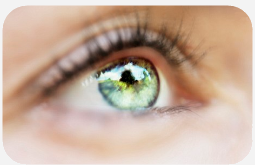 Have you ever woken up with itchy red eyes, sinus pain or sneezing? Do you regularly suffer from asthma, eczema, hay fever or bronchitis? It may no be obvious but your mattress may be making you more succeptible to these kind of ailments. Call us to arrange professional mattress clean today, so you can breathe easy. Our eye for detail guarantees your satisfaction.